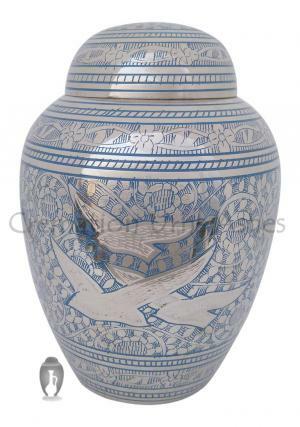 7” Dome Top Going Home Doves Blue Urn is a medium sized urn to carry ashes of loved memories on passing away. The medium urn holds amount of ashes with lesser compared to that of large adult urn. 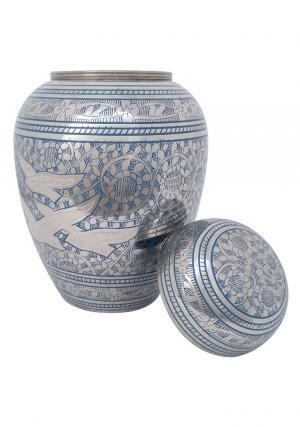 The medium sized 7” blue urn will make a perfect combination to families who wish to store larger portion of the ashes and rest in small keepsake urns or scatter the rest. 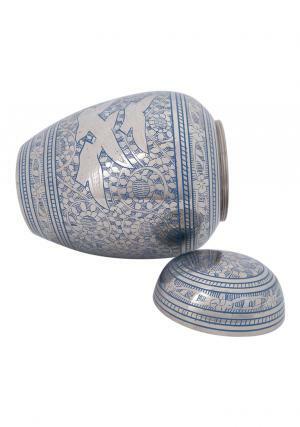 The medium dome top going home doves blue urn is heavily designed with blue enamel, floral engravings and flying doves at the center. 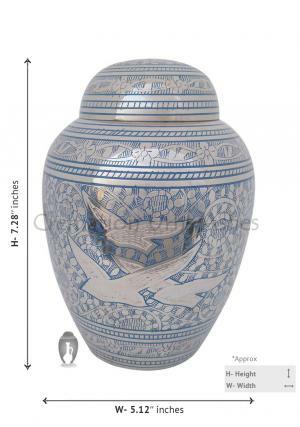 The medium dome top blue urn carries 100 cubic inch of cremated ashes approximately and weighs 0.96 Kg when empty. 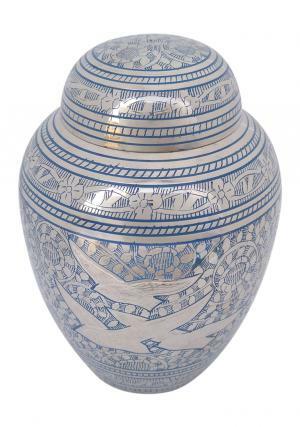 The dimensions of 7” dome top going home blue urn are 7.28 inches height, 5.12 inch width and length.